For those interested in MMORPG's. This one in particular. Yes it will be out for NA and EU eventually. designed to be filled with your adventures! From there they explore the world, cooperating or competing with each other. in peace two thousand years ago, still dominate the landscape. you may discover the secrets of legendary gods and heroes. that caused the Nuia and Harihara schism. It all depends on your choices. is determined by the choices you make. by making fine items or producing exceptional crops. You can build a house and found a new town. You can be a sailor and sail around the world. You can be a lord of a castle and rule your territory. there is a place for you in ArcheAge's world. The sea is not just a big pool you can swim in. or bawdy sailor songs echoing from a ship slicing through the waves. You can go anywhere and can do anything. You can choose your goal in life and fulfill it in any way you want. in the history of ArcheAge. The Hariharans are humans like the Nuians, but they hate each others’ guts (the reasons behind the Hariharan schism haven’t been revealed yet). Hariharans are very Eastern fantasy themed compared to the more Western fantasy trope that the Nuians embody, and they also happen to preside over ArcheAge’s eastern continent, uniting the races that live there under a single banner. This race values family, responsibility and respect above all else, and prefers to use lighter weapons and armor than the Nuians. Dwarves in ArcheAge are similar to Dwarves in other games. Really, any other kind of Dwarf would probably cause Tolkien to rise from the dead and kill us all. They’re stubborn people who love precious metals and gems, but they’re also skilled warriors who will stand valiantly alongside their friends in the face of danger. They prefer to live in mountain caves, building complex villages and structures while mining for anything that shines. And finally, the Warborn are revealed. A long time ago we posted an image of what we thought the Warborn would look like. Turns out we were mostly correct. Warborn are neither demons nor humans, but a gigantic race who excel at killing things (such as dragons). No one knows for sure where they came from, not even Warborn elders, so they’ve joined the effort to discover the lost history of ArcheAge’s world on the northern continent in an attempt to learn more about themselves. of battle and a glorious death, while others wish only to recover their long lost traditions. The Ferres are a nomadic race that never stays in one place for long. Each member of the tribe owns a tamed snow lion that serves as a mount, a valuable asset, and a lifelong companion. The Ferres will fight for survival at any cost, sometimes even by abandoning their comrades when threatened enough. It is this conviction that emboldens them to continue wandering the world, searching for an untouched land to worship and call their own. above all else, but fight fearlessly to protect their beliefs. Some day they hope to see the revival of their collapsing kingdom. …create your own custom class! There are ten schools available during custom class creation, but you can only choose three. Later you can switch schools, but you can never have more than three enabled at once. You can eventually master a school; however, if you choose to switch one out for another (a very expensive operation) you’ll have to start over as an apprentice. Overall there are 120 possible combinations available, so ArcheAge has effectively 120 classes! Each school has it’s own unique skills and some schools work better together than others. Some skills can be combined to do extra damage, such as a levitation bubble and a telekinesis throw. 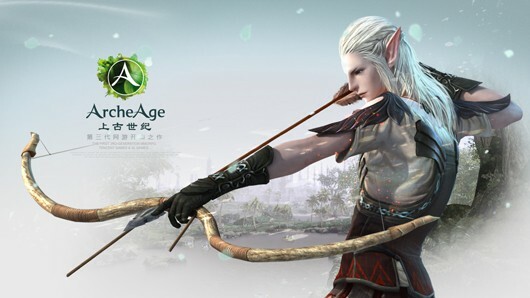 ArcheAge is using a combination of features from both CryEngine 2 and CryEngine 3, developed by CryTek. The core of the game is using CryEngine 2, while aspects such as the physics make use of CryEngine 3.